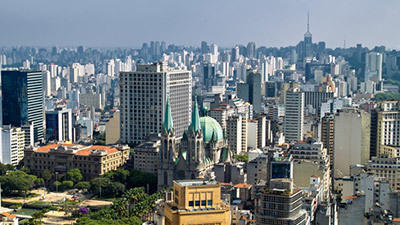 São Paulo is the largest and most populous city in Brazil. It is Brazil’s economic power house, as well as being a city of deep culture and history. Now known for simply being a large metropolitan area with beautiful architecture, congested traffic jams and a lot of rain, it hides a deep and interesting past. The first European settler to discover the area was a shipwrecked Portuguese sailor by the name of João Ramalho, but it was never settled until Jesuit missionaries arrived in the area in 1554. 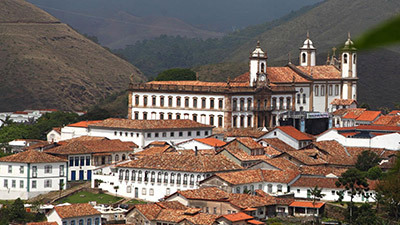 They built the Colégio de São Paulo de Piratininga – A Jesuit college that housed 12 monks. From this base the monks taught the natives and converted them to Christianity. Little did they know the significance of the site they chose. For nearly two centuries, São Paulo remained a small isolated village, relying mostly on subsistence, living off the land. However São Paulo was also the only interior village, simply because the jungle was so hard to penetrate. The rest of Portugal’s colonies were on the coast. In the 17th century this attracted the attention of the bandeirantes – Literally meaning ‘flag-bearers’ these were intrepid explorers, people who would venture into the jungle looking for riches and gold. This brought trade and business to the small village accommodating these bandeirantes. The bandeirantes brought so much trade to São Paulo that it bloomed into a small city. They wrestled control from the Jesuits and turned it into city about money. Gold ore was also found in neighboring areas which did nothing but help boost São Paulo’s growth. In the 1800’s São Paulo was roaring forward as a city. In this period Prince Pedro I was reagent in control of Brazil and reported to his father and the crown in Portugal. There was much unrest in Brazil at the time, and with wide support, Prince Pedro I declared independence from Portugal. He declared São Paulo an imperial city where he took his residence as the new Emperor Pedro I of Brazil. São Paulo the center and capital of Brazil grew even larger as a city. The expansion of coffee production became the chief export and a major factor in São Paulo’s growth as well. In 1889 Brazil became a republic, São Paulo still remained a large coffee producer, and grew powerful on the national political scene, taking turns electing presidents with another Brazilian state of Minas Gerais. In 1932, 4 students were shot and killed in São Paulo whilst protesting the then current government. This turned into a revolution called the ‘constitutionalist revolution’. In the end the fighting in São Paulo lasted 87 days with 934 deaths. This marked the end of the old republic in Brazil. There is now an obelisk in São Paulo commemorating the students, and those that died in the fighting. 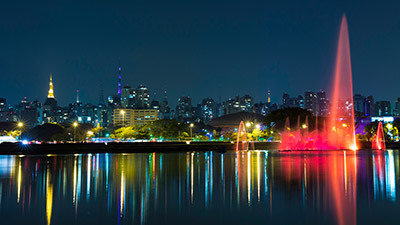 São Paulo Has matured into the city it is today. Powerful politically, powerful in commerce, and also recently on the forefront of Brazil’s innovative technology sector. If you visit the city you can still visit the building where it all started, the Colégio de São Paulo de Piratininga. It remains standing….. watching it’s city grow.